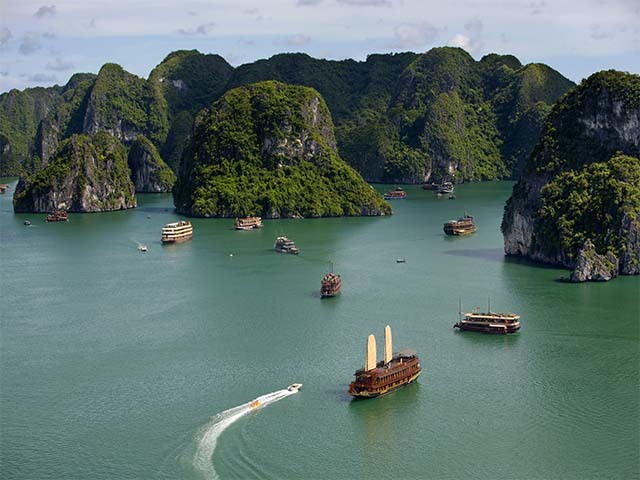 Go around the ancient city of Hanoi, cruise along the beautiful Halong Bay, and experience the best of North Vietnam. Then travel to central Vietnam to historic Hue and Hoi An. Lastly, explore the bustling city of Ho Chi Minh as you discover South Vietnam. You are received by our representative at Hanoi Noi Bai International Airport and transferred to the hotel. You have the rest of the day to relax and explore the city. Smaller than Ho Chi Minh City, Hanoi, the capital of Vietnam look likes a provincial city with its green areas, tree-lined boulevards and lakes. 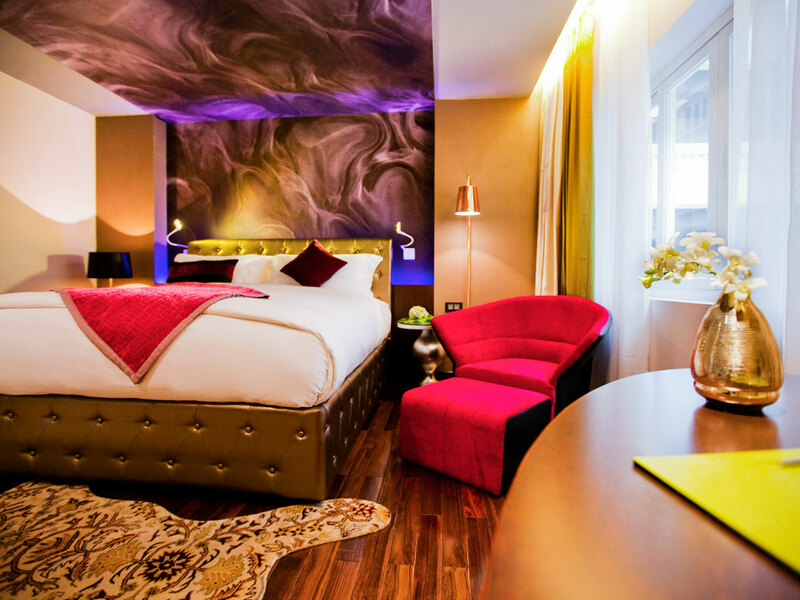 Souvenir of a colonial past and a rich historical background, Hanoi is a city for romance. At 8 am, you will depart from your hotel to Ha Long Bay, one of the most spectacular UNESCO World Heritage Areas and the world’s largest marine limestone ‘karts’ landscape. 170 Km east of Hanoi and located in the Gulf of Tonkin, lies Halong Bay. Recognized as one of the world most stunning natural treasures, its picturesque landscape of sea and sky has been listed as a World Heritage site. With over 3000 islets covering an area of 150 sq km, and its emerald water and numerous caves, Halong Bay is a truly mystical place. On arrival you will board your boat - a wooden junk built modeling the old Vietnamese court vessels. After check-in, you will have a Vietnamese lunch while heading towards a fishing village. Once at the fishing village you will take a rowing boat and you will be able to explore the fishing village. Later, you will return to the vessel and kayak around the fishing village or swim in the Bay, depending on the weather. In the evening you can participate in a cooking demonstration. After dinner, enjoy a movie in the Lounge Deck or relax in your cabin. Your day will start with an early Tai Chi lesson on the sundeck. Enjoy the views of the bay and surrounding islands while having a continental breakfast. Later, you will have the option to explore and swim on a secluded island or discovering one of the biggest caves in Ha Long Bay. Your cruise will continue around the bay while brunch is served. The vessel will cruise at a slow pace back to the harbor for disembarkation. This morning, explore on your own. Feel the pulse of the Old Quarter, bursting with activity, soak in the vibrant atmosphere in the local markets, watch residents practice Tai Chi at parks, dine at world-class restaurants and shop at designer boutiques, you can do all this and more in Hanoi. Visit the Temple of Literature, built in 1076. Vietnam’s first university was established within this temple to educate Vietnam's royalty, mandarins and members of the elite. The university functioned for 700 years and its gardens and well-preserved architecture offer a fascinating glimpse into Vietnam’s past. Also, visit the Ho Chi Minh Mausoleum (Mondays & Fridays closed), One Pillar Pagoda, Tran Quoc pagoda. If you have time visit the Museum of Vietnam Ethnology and then take a walk through the busy old streets to discover the daily life of the locals. In the evening transfer to Noi Bai airport for your flight to Hue. Upon arrival in Hue, you will be transferred to hotel for check-in. Palaces and pagodas, tombs and temples, culture and cuisine, history and heartbreak – there’s no shortage of poetic pairings to describe Hue (pronounced ‘hway’). A Unesco World Heritage site, this deeply evocative capital of the Nguyen emperors still resonates with the glories of imperial Vietnam, even though many of its finest buildings were destroyed during the American War. Hue owes its charm partly to its location on the Perfume River – picturesque on a clear day, atmospheric even in less flattering weather. After an early breakfast, you will meet your guide and driver at 8:30am and you will visit the Forbidden Purple City, constructed under the Emperor Gia Long's, in the early 19th century. It is located in the Citadel of Hue, which was badly damaged during the Tet offensive of 1968. Established as the capital of unified Viet Nam in 1802, Hue was not only the political but also the cultural and religious center under the Nguyen dynasty until 1945. Hue was declared a UNESCO World Heritage in 1993. At noon, you will stop for lunch at a local restaurant. Later, you will board a dragon boat for a pleasant boat trip on the Perfume River to visit the characteristic Thien Mu Pagoda. Then, you will visit the tombs of the emperors Tu Duc and Khai Dinh. Tu Duc was Vietnam's fourth emperor and lived from 1829 until 1883. During his reign, Vietnam lost its independence to France. Tu Duc is said to have had 104 concubines. Khai Dinh King was Vietnam’s Emperor from 1916 to 1925. His tomb represents a fusion of traditional Vietnamese style and modern influence, as it is almost entirely made of concrete and includes many European architectural details. 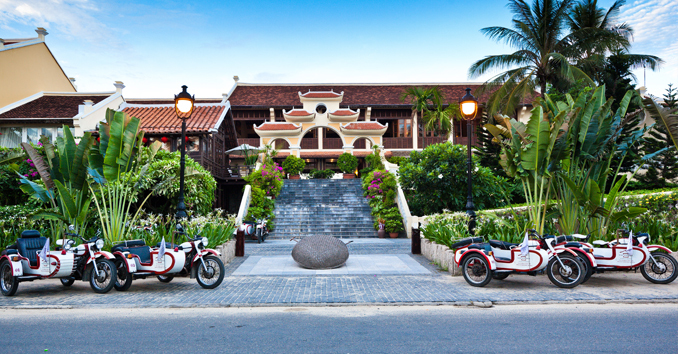 After breakfast, check out from your hotel and meet your guide and driver to depart to Hoi An. The trip passes through many spectacular scenarios along the National Highway 1 such as the breathtaking Hai Van Pass. The pass, which once formed the boundary between the kingdoms of Đại Việt and Champa, also forms a boundary between the climates of northern and southern Vietnam. The Hai Van Pass is the highest and longest pass in Vietnam, with the North-South National Highway zigzagging through it for almost 20 km. Photo-stop somewhere in the Pass, and get your perfect pictures of Lang Co beach, a spectacular landscape or the peaceful fishing vicinity. Upon arrival in Hoi An, you will start a walking tour through this charming small town made of hundreds of historic houses, congregation halls, pagodas and other structures. Its buildings and its streets reflect the indigenous and foreign influences this town had, defining it as a unique heritage and multi-cultural site. There’s plenty to see in this delightful town, such as the Japanese Covered Bridges, the Pottery Museum, the 200 years old Tan Ky House, Chua Ong Pagoda and the vibrant local market. We will visit all of them in this walking tour. In the evening you will have free time to relax and discover this beautiful town on your own. 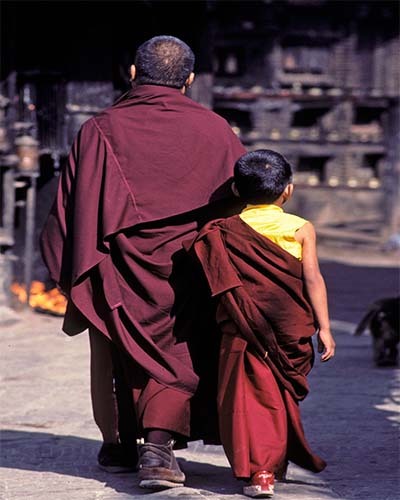 At 8:30am, you will be driven to the World Heritage ‘My Son Sanctuary’. Your guide will show you the remains of the remarkable towers constructed by the Cham builders, many centuries ago. This sanctuary is a cluster of abandoned and partially ruined Hindu temples built between the 4th and the 14th century AD by the kings of Champa . The temples are dedicated to the worship of the god Shiva, known under various local names, the most important of which is "Bhadresvara." In 1937, French scholars began to restore the temples at Mỹ Sơn. In 1937 and 1938, the main temple and the smaller temples surrounding it were restored. However, many historical buildings were destroyed during the Vietnam War and this temple was damaged by the attacks. You are received by our representative at Ho Chi Minh Airport and transferred to the hotel. You have the rest of the day to relax and explore the city. Ho Chi Minh is a fast developing metropolis and is very much the pulsing heart and soul of Vietnam. Like so many Asian cities, it is filled with contrasts of time old traditions alongside rapid modernisation. The gentle flow of Tai Chi practiced in the parks seems surreal as the rest of city buzzes all around, ladies in their Ao Dais (Vietnamese national costume) whiz by on their mopeds and the fast pace and vibrant energy continues unabated. The local markets are very lively and the city is dotted with trendy bars and restaurants. Optional Tour : Visit the Cu Chi Tunnels. Later, proceed to Reunification Palace, the historic monument that marked the end of the Vietnam War. Then visit the War Museum that comprises a series of eight themed rooms in several buildings showcasing war equipment. See Notre Dame Cathedral with its distinctive French architecture and pass through Ben Thanh market. After Breakfast, you have free time until your driver picks you up 3 hours before your departure time and transfer you to the airport for your flight back home.